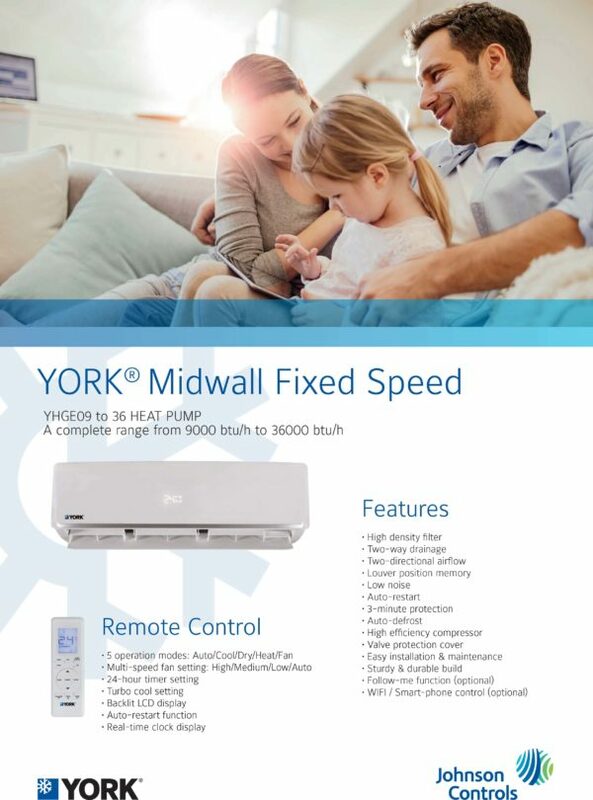 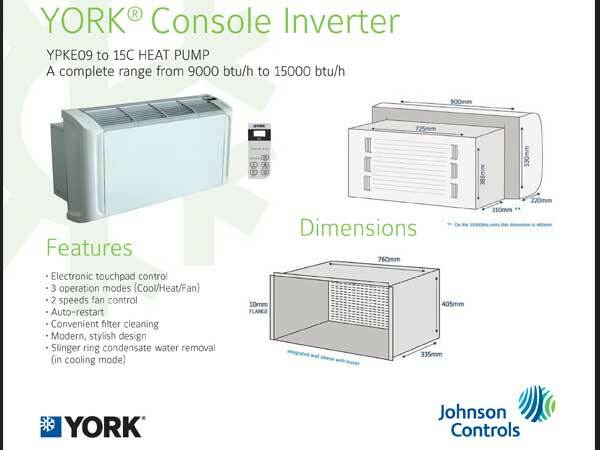 YORK® Midwall Fixed Speed Air Conditioner by Johnson Controls features a high density filter, two-way drainage, two-directional airflow, louver position memory, low noise, auto-restart, 3-minute protection, auto-defrost, high efficiency compressor, valve protection cover, easy installation and maintenance, sturdy & durable build, follow-me function (optional), WIFI / Smartphone control (optional). 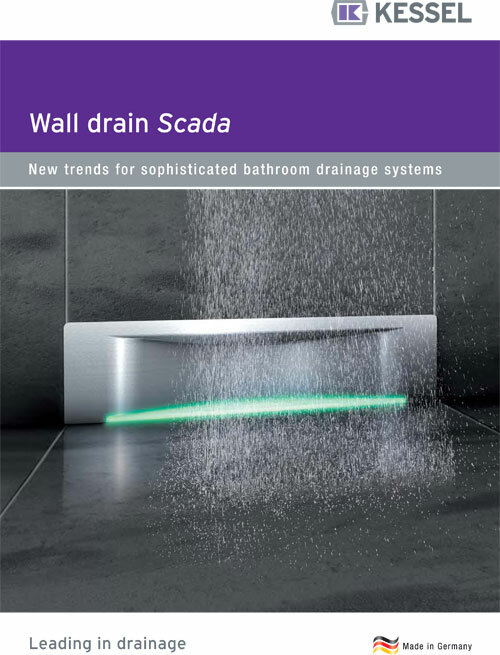 Top quality materials, convenient installation conditions and flexible connection options are the hallmarks of the Scada wall drain. 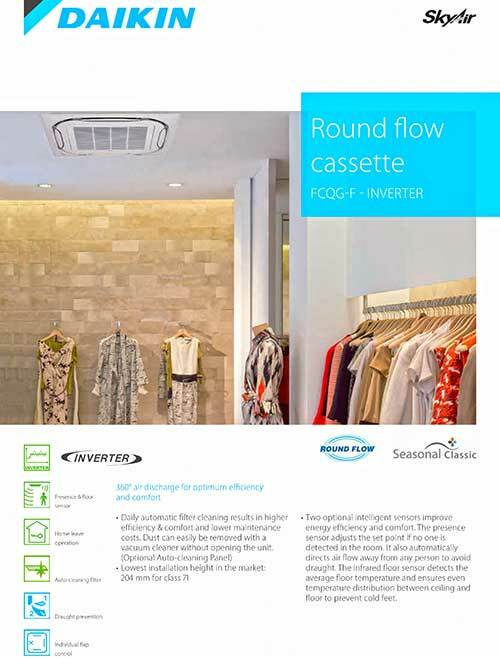 Thanks to its external properties and low installation height of just 80 mm to the upper edge of the tiles, it is also ideally suited for renovation projects. 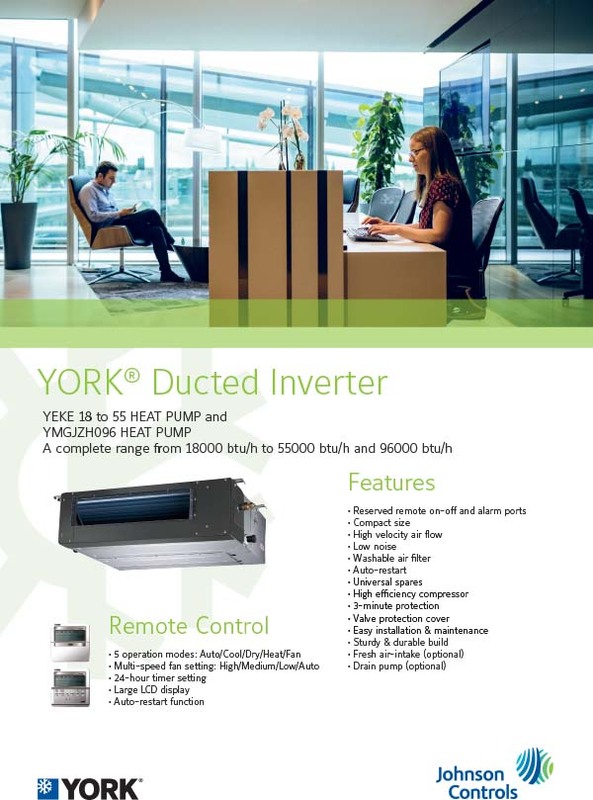 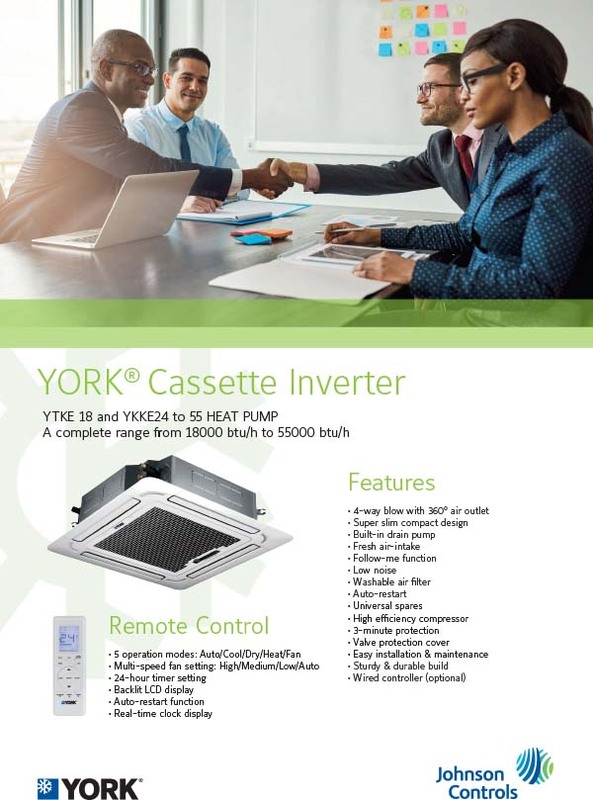 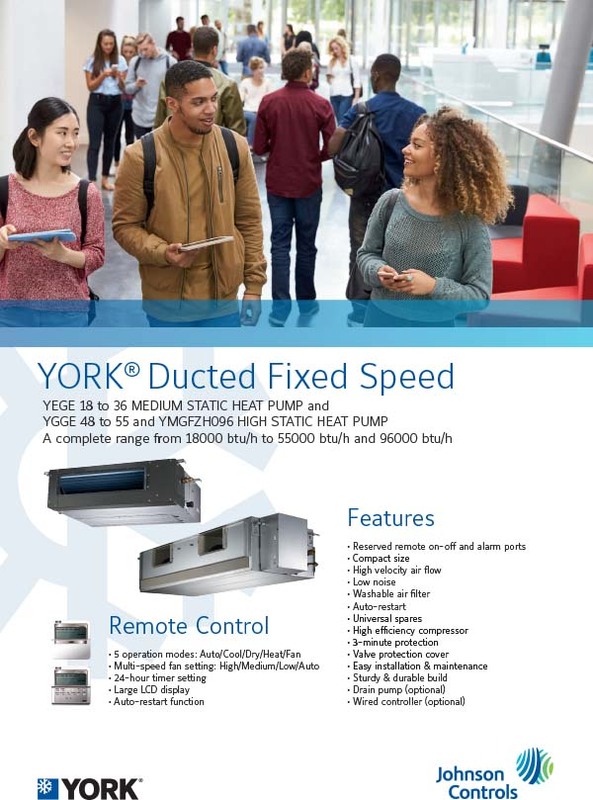 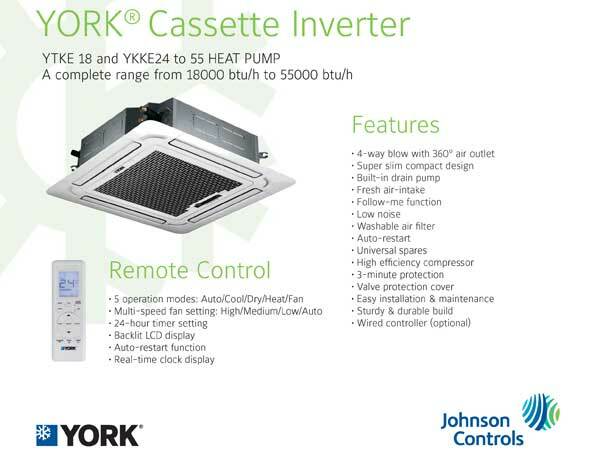 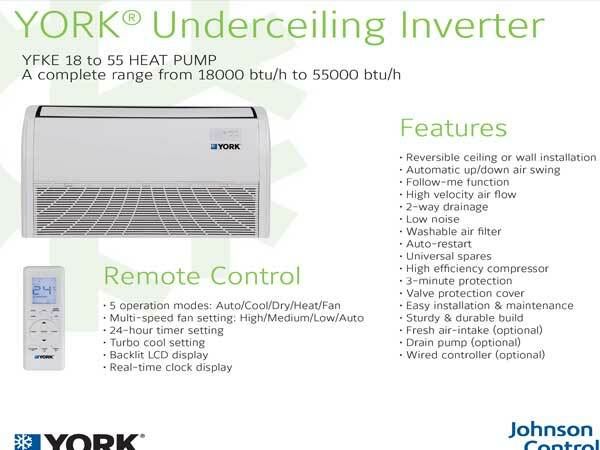 YORK® Ducted Inverter features reserved remote on-off alarm ports, compact size, high-velocity airflow, low noise, washable air filter, auto start, universal spares, high-efficiency compressor, 3-minute protection, valve protection cover, easy installation and maintenance, sturdy and durable build, fresh air-intake, drain pump. 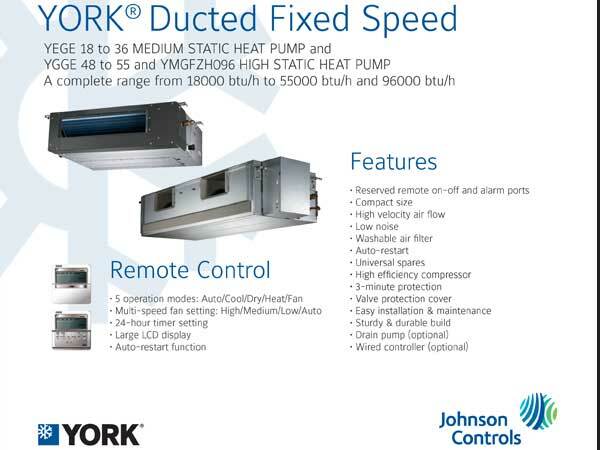 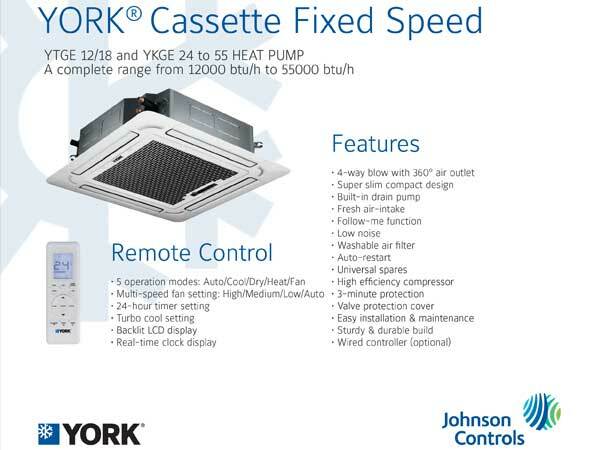 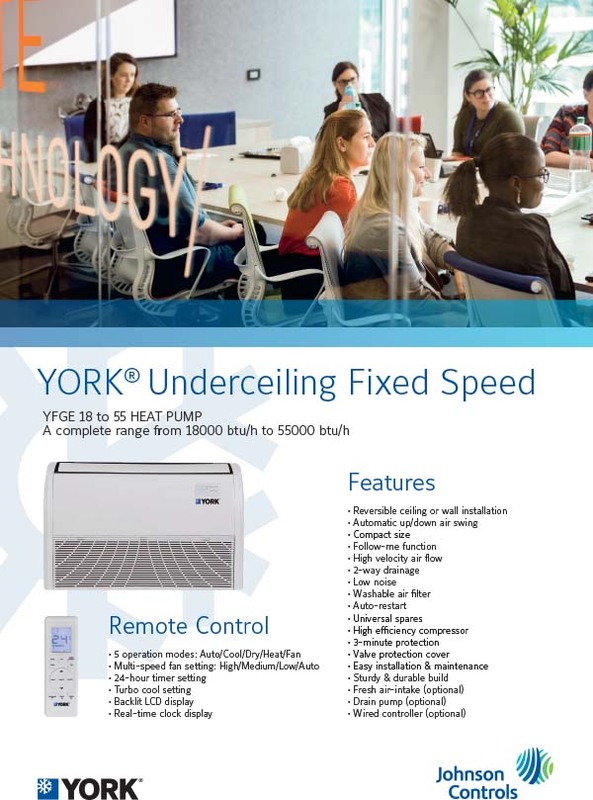 YORK® Underceiling Fixed Speed YFGE 18 to 55 Heat Pump A complete range from 18000 btu/h to 55000 btu/h Air Conditioner with remote control and compressor Johnson Controls Building Efficiency – suppliers of YORK® HVAC equipment including air-conditioning, chillers and refrigeration applications, as well as security control and building management systems. 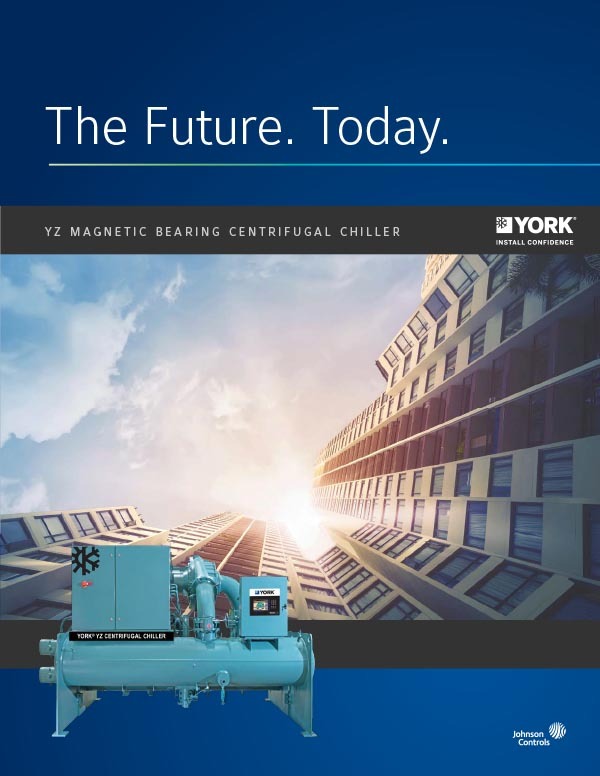 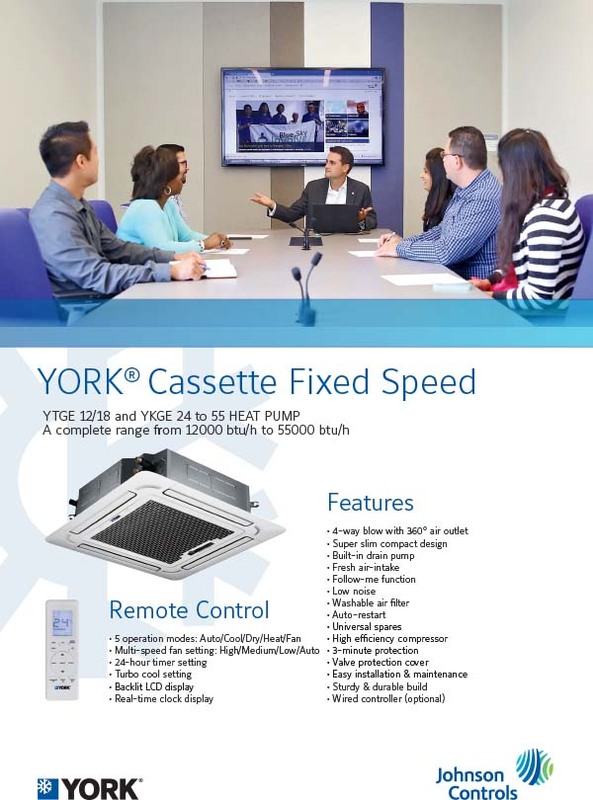 YORK® help creates healthier, more productive building environments, reducing carbon footprint and delivering energy and operational savings.